Final cost = $4, only $1/bag! Final cost = $0.90, only $0.45 each! Final cost = $1.99 (maybe less)! Final cost = $4 off one, around $0.59 depending on the price at your store! I mentioned the great new Purex coupon earlier, but check out this Walgreen’s deal! I’m not a Walgreen’s shopper, but this price is too good not to mention! Deal starts 10/6, but print the coupons NOW because they won’t be available for long. Final cost only = $1.25 each! If you are in need of a case for your iPhone 4, 4S, or 5, now is the time to get one! 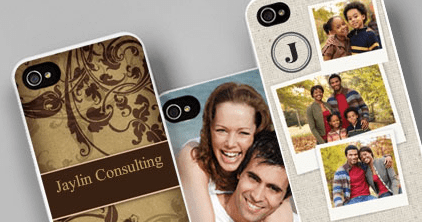 Vistaprint is offering 50% off iPhone cases for one week only giving you an opportunity to customize your favorite accessory with designs that reflect your personality starting at $9.99. Vistaprint has a lot of different designs to choose from, whether you want to upload just one memorable photo, a series of pictures (there is even an option that turns each photo into a mini Polaroid), or just pick a fun pattern, like chevron, which you can personalize with your name or a personal message. These customizable iPhone cases are fun gift ideas for the iPhone owners in your life. The cases range from sports memorabilia for your sports fan to princess crowns for your girly girl, giving you options that can make every iPhone user happy. This could also be a great way to get ready for the holidays and be your one stop shop for stocking stuffers. Or, you can customize the cases with pictures of your kids (or pets!) and keep it for yourself! Even sweeter, there is no upload fee for these cases, so take advantage of this Vistaprint deal and personalize away! Shipping starts at $5! Deal ends 9/27, so hurry! In order to see the $9.99 price, you must use the links in this post. New Purex Coupons to Print! Purex is a favorite brand among a lot of couponers because it’s often the cheapest detergent to buy when paired with sales and coupons! Hurry on over and print these new coupons! https://savvywifehappylife.com/wp-content/uploads/2016/09/SavvyWifeHappyLife-logo-2.png 0 0 Brandi https://savvywifehappylife.com/wp-content/uploads/2016/09/SavvyWifeHappyLife-logo-2.png Brandi2013-09-27 16:27:342013-09-27 16:27:34New Purex Coupons to Print! Check out all the new toy coupons available to print! Match these coupons with sales at Target, Walmart, and Toys R Us for greater savings! Start buying for Christmas gifts and your toy closet! If you enjoy looking ahead and being ‘in the know’, then make sure to head on over HERE to view the Sunday Coupon Preview! This week we will be getting 3 inserts: A SmartSource, a RedPlum, and a P&G insert! Make sure you take a look at the preview to determine how many papers you want to purchase. Sign Up for Gift Hulk (Rewards Site for Paypal and Amazon Gift Cards)! You can sign up through this link. You only need 5000 Hulk Coins to cash out for a $5 Amazon or Paypal Gift Card! The thing I like the most about Gift Hulk is that there are so many ways to earn points, like Swagbucks and SuperPoints combined! Also, instead of always winning Hulk Coins, you also win prizes (like Amazon gift card codes) for doing the easy tasks and I think that adds some more fun to it all! If you love Swagbucks, I say give Gift Hulk a try! You’ll be able to figure it out right away and start earning! If you aren’t fans of the other rewards sites, I still recommend you give Gift Hulk a try. There are many ways to win and the incentives are good! https://savvywifehappylife.com/wp-content/uploads/2016/09/SavvyWifeHappyLife-logo-2.png 0 0 Brandi https://savvywifehappylife.com/wp-content/uploads/2016/09/SavvyWifeHappyLife-logo-2.png Brandi2013-09-27 11:27:262013-09-27 11:27:26Sign Up for Gift Hulk (Rewards Site for Paypal and Amazon Gift Cards)! It’s Mega Swagbucks Day! Get Free Amazon Gift Cards! It’s Friday and Mega Swagbucks Day! Today is the day of the week where you are supposed to earn the most Swagbucks, so start searching! Swagbucks is a place to earn prizes, like Amazon gift cards, by earning Swagbucks through random searches, surveys, polls, games, TV, and special offers. Just spend a few minutes a day on Swagbucks and you’ll have a few Amazon gift cards before you know it! Sign up here and get 30 Swagbucks just for signing up! https://savvywifehappylife.com/wp-content/uploads/2016/09/SavvyWifeHappyLife-logo-2.png 0 0 Brandi https://savvywifehappylife.com/wp-content/uploads/2016/09/SavvyWifeHappyLife-logo-2.png Brandi2013-09-27 11:25:352013-09-27 11:25:35It's Mega Swagbucks Day! Get Free Amazon Gift Cards! New $5 off $15 Purchase at Spirit Halloween! This coupon is awesome! 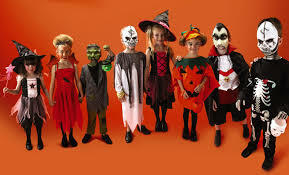 If you’re going Halloween shopping anytime soon, be sure to print the $5.00 off $15.00 at Spirit Halloween coupon! Just click the link and the coupon should already be clipped for you. https://i1.wp.com/savvywifehappylife.com/wp-content/uploads/2013/09/images-2.jpg?fit=289%2C175&ssl=1 175 289 Brandi https://savvywifehappylife.com/wp-content/uploads/2016/09/SavvyWifeHappyLife-logo-2.png Brandi2013-09-25 14:28:082013-09-25 14:28:08New $5 off $15 Purchase at Spirit Halloween! Live Better America member‘s can grab a FREE Nature Valley Protein Salted Caramel Nut Bar sample – available for the first 10,000 people! You must be a Live Better American member as of yesterday to snag this freebie.